The latest trend of footballers showing off their poker skills reached a new level this week after Chelsea midfielder, Oscar, posted an Instagram shot of his latest home game. 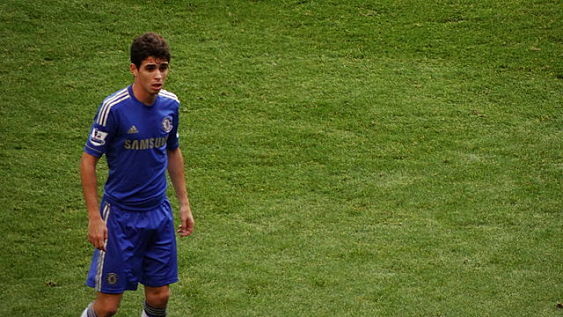 Following the pattern set down by the likes of Neymar and Cristiano Ronaldo in recent weeks, Oscar posted the picture following Chelsea's 3-0 defeat to West Brom on Tuesday. Not taking part in the game due to injury, the Brazilian took advantage of his unexpected absence by hosting a poker game with friends complete with a winner's trophy. Quite what the stakes were is unknown, but after sitting down and taking on all comers in a sit & go format, Oscar was able to clean up and eventually take down the match with Ac 7s. Posting the picture on Instagram with the caption "Champion Emboaba poker!! #campeaodopoker", it's likely fellow Brazilian Neymar will have seen Oscar's win which begs the question: which player is better. Having recently signed to PokerStars, Neymar will no doubt be playing a lot more poker in the coming months and there could be some interesting footballer/ poker player match-ups in the making. Indeed, between Neymar, Oscar, Cristiano Ronaldo and the other Ronaldo there's almost enough football legends to start a six-man game.